Look deep into the movie listings this January, past the big name awards fodder, the PT Andersons and the Rob Marshalls, the biopics and social problem films, and you’ll find, in limited release, the latest picture from one of the most influential and important directors of the past 40 years, Tsui Hark, whose name remains so unknown in the US he’s as likely to be identified by his personal name as his family name (for the record: he is Mr. Tsui, not Mr. Hark; pronounced “Choy – Hok”). As director, producer, writer and even actor, Tsui has played a prominent role in every stage of Hong Kong cinema since the mid-1970s, from the New Wave through “heroic bloodshed” and the wuxia revival of the 80s and early 90s; from the pre-Handover exodus to Hollywood to the present-day integration with the Mainland and the proliferation of digital technology. With at least a dozen classics spanning just as many genres, Tsui stands among the most accomplished directors in film history, Hong Kong or otherwise. 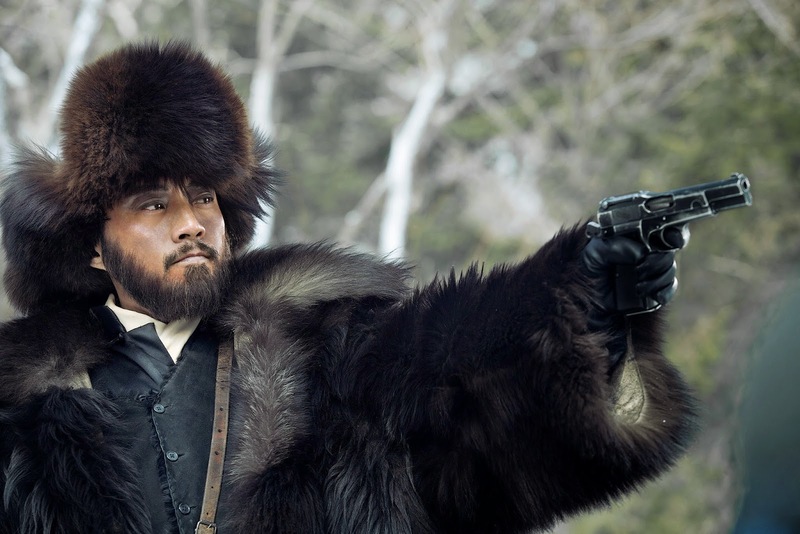 His latest film, The Taking of Tiger Mountain, like his previous two films shot in 3D, is the latest in a string of works linking traditional genres to contemporary digital technology, recasting gong’an crime fiction and King Hu-era wuxia in the language of modern CGI-spectacle with his Detective Dee films and Flying Swords of Dragon Gate, respectively. Tiger Mountain is ultimately based on a 1957 novel by Qu Bo called Tracks in the Snowy Forest, a story from which was adapted into the Peking Opera Taking Tiger Mountain by Strategy which was itself the chosen by Madame Mao as one of the Eight Model Operas during the Cultural Revolution. The film begins in the present, in New York City in the winter of 2015. A young man is at a cosmopolitan, multilingual and multi-racial party with friends (it appears to be his own going-away party) and encounters on the karaoke machine a scene from the 1970 film version of the Tiger Mountain opera. (This is similar to Tsui’s own experience seeing the film when he was a young man in New York in the early 1970s, as he recounts in this interview.) It sends him into a fit of nostalgia (“It’s your hometown!” jokes one of his friends), a reverie that will last the course of the film as he takes a detour from his cross-country trip to a new job all the way back home to China, where he watches the opera-film on his telephone and a smash cut brings Tsui’s movie to life on-screen. We’ll return to the young man at the end of the film, his story will remain merely the frame through which we view our war movie. And a war movie it is, a fine example of a venerable genre. 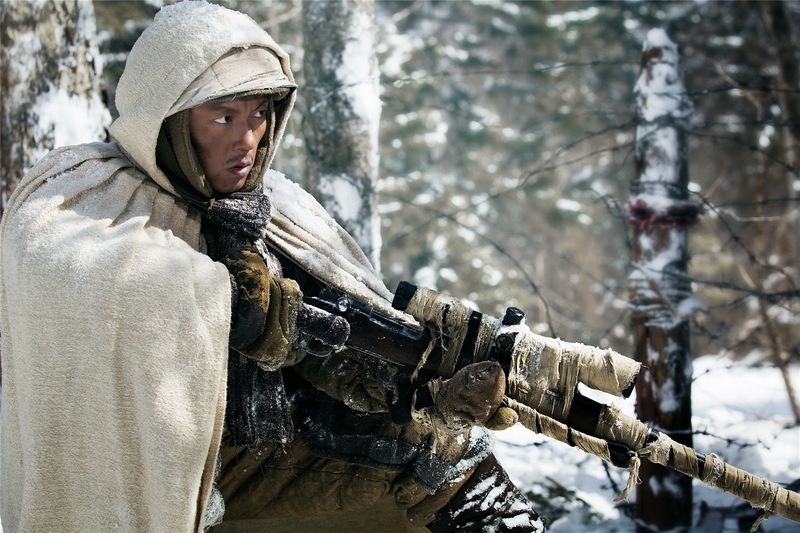 A small band of People’s Liberation Army fighters are in the midst of the civil war that followed Japanese defeat at the end of World War II, operating against the forces of the Nationalist Kuomintang Party and various gangs of criminal warlords in the snowy chaos of Northern China. 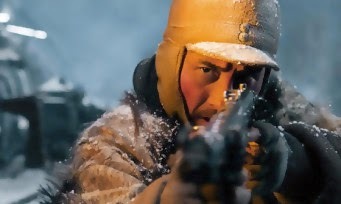 Righteous defenders of the common people, the PLA set-up base in a ravaged village and try to take down a gang headquartered at a former Japanese fortress and arsenal on Tiger Mountain. 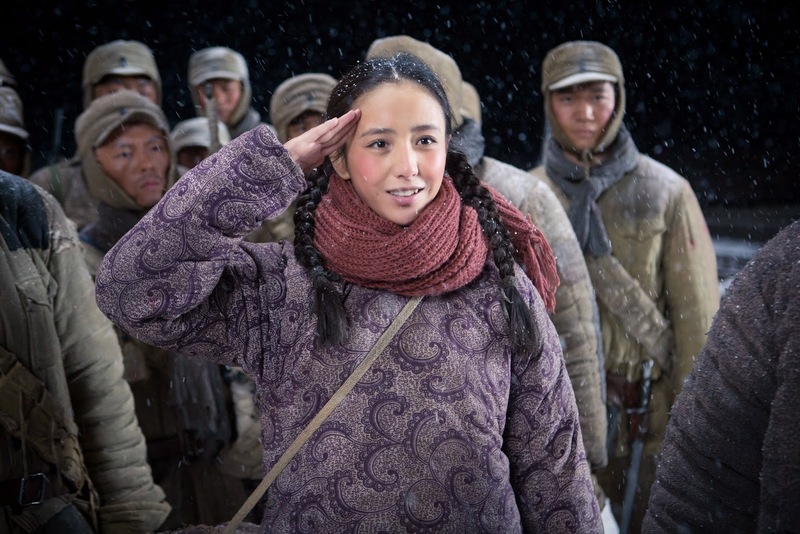 One man, Yang Zirong (played by Mainland actor Zhang Hanyu), attempts to infiltrate the gang while the rest of the 30 or so cold and starving freedom fighters, led by a wise and stoic figure known only as Captain 203, dig-in to defend the village. (Somewhat interestingly: in Teddy Chan’s 2009 film Bodyguards and Assassins, Zhang played Sun Yat-sen, the revolutionary founder of the KMT, instrumental in the overthrow of the Qing Dynasty. Sun himself is a heroic figure as well in Tsui’s Once Upon a Time in China II). The bulk of the first half of the film is a series of war movie character-establishing cliches (nickname-based male camaraderie, women and children in peril), though the film is blessedly free of pathos-inspiring backstory, punctuated by brief bursts of suspense and action (most impressively when Yang is attacked in the forest by a giant CGI tiger). The Other Tony Leung plays Hawk, the villainous gang leader, a veteran of the anti-Japanese war twisted both morally and physically (he looks as much like Danny DeVito’s Penguin as he does the toweringly handsome Leung we’ve seen in so many other films), with a penchant for inventive means of punishing his enemies (you know you’re in for a night when 15 minutes into the film a bad guy gets eaten by a bird). The second half of the film is a series of increasingly spectacular action sequences, beginning with a long and impressive, mostly practical-effect-driven, defense of the village that recalls no less than Seven Samurai in its depiction of the geography of battle and culminating with an explosive assault on the mountain fortress built around increasingly implausible, but no less wildly enjoyable, computer effects. The film returns to its frame at the end, with the young man back in his home village, visiting his (great-? )grandmother at Lunar New Year. This ending deviously recontextualizes the film we’ve just seen. Rather than simply a fine, if rather rote genre picture made by a filmmaker named Tsui Hark, we’re invited to see it instead as a product of the young man’s imagination: it is his picture, not Tsui’s. What Tsui gives us is his version of the way a person today might imagine what had been actual events, just as Madame Mao’s opera was her vision, just as Qu Bo’s novel was his version of events in the lives of the actual people who fought in the actual war, the actuality of which is impossible for us to experience or anyone to express. Thus the film’s limitations (and strengths) are instead the limitations (and strengths) of our own era’s imagination. Genre and tradition, the ways we tell stories, are the way we experience history, the way we keep the past alive. The way we depict the heroes of our past says more about us than it does about them, but if we do it right, the core of their experience, the heroism and idealism we valorize, will remain intact. What we pass on need not be the facts of heroism, the realism of it, but the spirit, the meaning of heroism. In this way, Tiger Mountain is somewhat similar to Nina Paley’s Sita Sings the Blues, in which a woman reinterprets the Ramayana (and the sad jazz of 1920s chanteuse Annette Hanshaw) to help cope with the collapse of her marriage. More of a stretch but I still think similar too are the transformations James Lapine and Stephen Sondheim made to their play Into the Woods for the current adaptation, toning down the darkness and complexity to reflect (and perhaps appeal more to) a broader, literally more Disney-fied, audience. With Tiger Mountain, Tsui takes the politics out of what had been a deeply propagandistic work: his PLA never mentions Mao, never talks about revolution or the proletariat. Not being overtly political is as much a fact of the present blockbuster as the enforced ideology of the Model Operas was. The film we see, the young man’s film, celebrates less controversial, more ancient, more universal virtues, virtues passed down from the past to the present, linked by the telling of a story. Tsui Hark has spent his career translating ancient stories to a contemporary vernacular, from The Butterfly Murders and Zu: Warriors of the Magic Mountain, to his epics chronicling folk hero Wong Fei-hung’s adventures from the Boxer Rebellion to the collapse of the Qing Dynasty, to updated versions of Chinese Ghost Stories, Green Snakes and Butterfly Lovers. With a giddy embrace of the new and a slyly anarchic wit that at times overflows with into an expression of nihilistic rage (The Blade, Dangerous Encounters-First Kind), Tsui keeps pushing the past into the future, but the translation has never before been so felt, the absence of the past’s conventions, or of a political point of view, so apparent. The young man, joyously, finds his connection to the past, yet we are adrift in history. We have great machinery for the telling of stories.